*The times and locations are based on previous years. This page will be updated if there are changes. $74 Standard Double Queen | $84.00 Queen Deluxe | $104.00 King Suite. 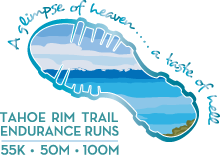 Be sure to mention you are with the Tahoe Rim Trail Endurance Runs. The Plaza Hotel staff has been gracious enough to get up early and provide breakfast items at the hotel starting at 2 am. Special Rate Code: TRTER | $99.00 Double Queen – includes a limited breakfast coupon. The Courtyard will have shuttle bus pick-up as well. Again, mention you’re with the TRT Endurance Runs. Good Sam Approved! 10% discount for Good Sam Members applies. The Gold Dust West is a full service Casino Hotel with a Good Sam RV Park, Two Restaurants, 32 Lane USBC Bowling Center, Arcade, Snack Bbar & the Ten Pin Lounge & much more! Gold Dust West will also have shuttle service on race morning. Food Truck meals are included in the entry fee for all registered participants. Family, crew members and pacers will need to purchase their own food at the food trucks. Food trucks accept cash and credit cards. and the ULTRA LOUNGE – tables, kick-back chairs, soaking buckets, great raffle prizes (check the board! ), all under the big tents by the lake. The Accreditation Council for Graduate Medical Education (ACGME) accredited Primary Care Sports Medicine Fellowship Program at the University of Nevada in Reno is proud to provide medical coverage for the Tahoe Rim Trail Endurance Runs. There is First Aid / CPR qualified individuals and radio and /or cell phone communications at each aid station and medical staff at key aid stations and at the start/finish. Safety patrol personnel are deployed within each division between aid stations. ALL REGISTERED RUNNERS must complete a medical questionnaire during the online registration process. PLEASE HEED: If you still insist on using headphones during our event please remove your ear buds within 500 feet of any aid station, entering or leaving as a common courtesy to the aid station volunteers who are there to help you. Shuttle vans will be available post-event to transport runners back to the host hotels. Shuttle vans are available before and after the race to transport participants, family and friends to and from the event site. Participants are encouraged to arrive early to allow for the extra time needed to shuttle to the event site. We encourage everyone to purchase a parking pass for Spooner Lake, Nevada State Park. There is no free event parking within Spooner Lake, Nevada State Park. Use the fee envelope if there is no attendant in the Fee Booth or you will be ticketed. Requests for cancellation and refund must be submitted by no later than 6:00 pm on Sunday, March 10, 2019. The refund amount will be the original registration fee, minus a $30 administrative fee. Please note that carry-over registration is no longer available, except in the case of an active military deployment or death in the family. Refunds will not be issued for carry over registrations. In general, refunds will not be issued after 6:00 pm Sunday, March 10, 2019. Very limited exceptions, such as verified sudden family emergencies, bereavements and military activation will be considered on a case-by-case basis by the Race Director. ​ PLEASE NOTE: The Tahoe Rim Trail Endurance Runs have filled early the past four years and many interested runners were placed on the event’s waiting list in hope they would be able to run. Out of courtesy to your fellow runners PLEASE let us know in advance if you are not able to attend so others can fill the vacant slot. Registered runners who DNS (do not show) AND DNC (do not call) without valid, acceptable excuse MAY risk not being able to participate the following year. We sincerely hope you understand our decision. Any exceptions will be the decision of the Race Director. In the absence of the Race Director the decision may be made by the Assistant Race Director. There will be no change of distance during the race (i.e., an individual registered to run the 50M course MAY NOT downgrade to the 55K course once the event has started). Any runners who do not complete the entire distance for which they are registered will be disqualified and listed as DNF (Did Not Finish). ADDITIONAL FEES REQUIRED FOR UPGRADE. $155 — From the 55K to the 100M event ($290- $135 = $155) – submit the additional payment along with proof of meeting the event’s Qualification Standards and Volunteer Requirements. $135 — From the 50M to the 100M event ($290 – $155 = $135) – submit the additional payment along with proof of meeting the event’s Qualification Standards and Volunteer Requirements. Runners may request a downgrade in distance but no refund will be issued. If runners registered for the 100-mile event have not submitted proof of completion of their Volunteer Requirements by July 6th, 2019, they will automatically be downgraded to the 50 mile event. NO REFUNDS!